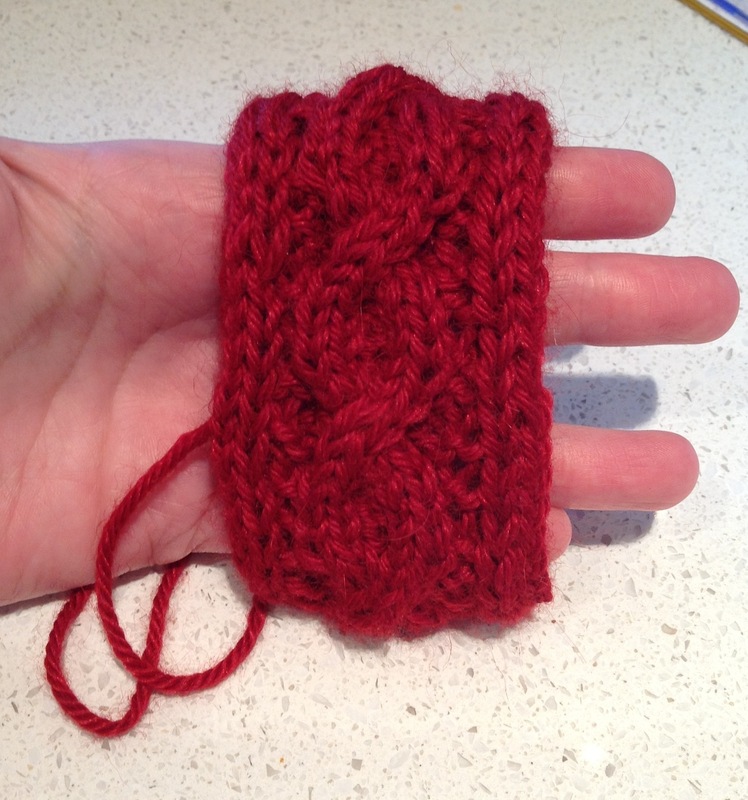 Posted on October 3, 2012, in knitting, projects, techniques, yarn and tagged cables, Cardigan for Munchkin, grafting, knitting, yarn. Bookmark the permalink. 4 Comments. So pretty! You’re an adventurer when it comes to knitting skills, aren’t you? I’m not so adventurous. I’m still waiting–ah hem–for the right PROJECT to come along and help me learn kitchener. Yeah, that’s it; I’m waiting on a project. Not nerve, not courage, not the proper application of Tito’s vodka. It’s the project’s fault. The one that doesn’t quite exist yet. Use my cheat! When you’re done the toe increases, switch to smooth cotton waste yarn, knit a few more rounds, then tuck the extra rounds inside the toe and sew the seam closed, following the path of the waste yarn. Then just frog the waste yarn from inside the toe. Easy-peasy! But really, regular Kitchener isn’t so awful. Once you get into the rhythm, it goes pretty painlessly. Honest!! Grafting in general gives me fits. I learned how to do it a few months back, and am so thankful that I’ve finally been able to show it who’s boss. When one is knitting a Zimmermann pattern (As I’ve done many of, with many more to go) you have to do that quite frequently. I also fear steeking, but that one I have yet to master. I’m just not sure how one goes about using the sewing machine to do that. I’ll figure it out sooner or later I guess. The thought of steeking makes my palms sweat. I’m curious but not brave enough yet!